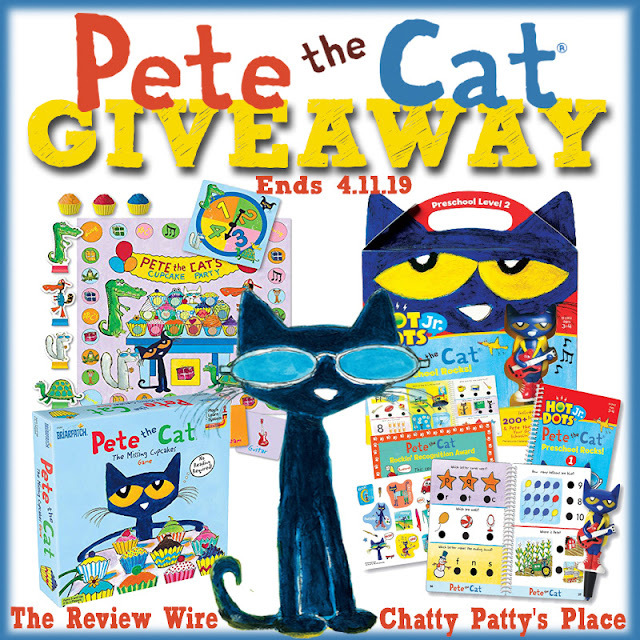 Welcome to DAY 2 of the Easter Fun Giveaways hosted by Chatty Patty's Place and The Review Wire! Today's Giveaway is Pete the Cat Games! an award certificate for little learners who are ready to advance to the next level. audio and visual feedback. MSRP $25 per set. 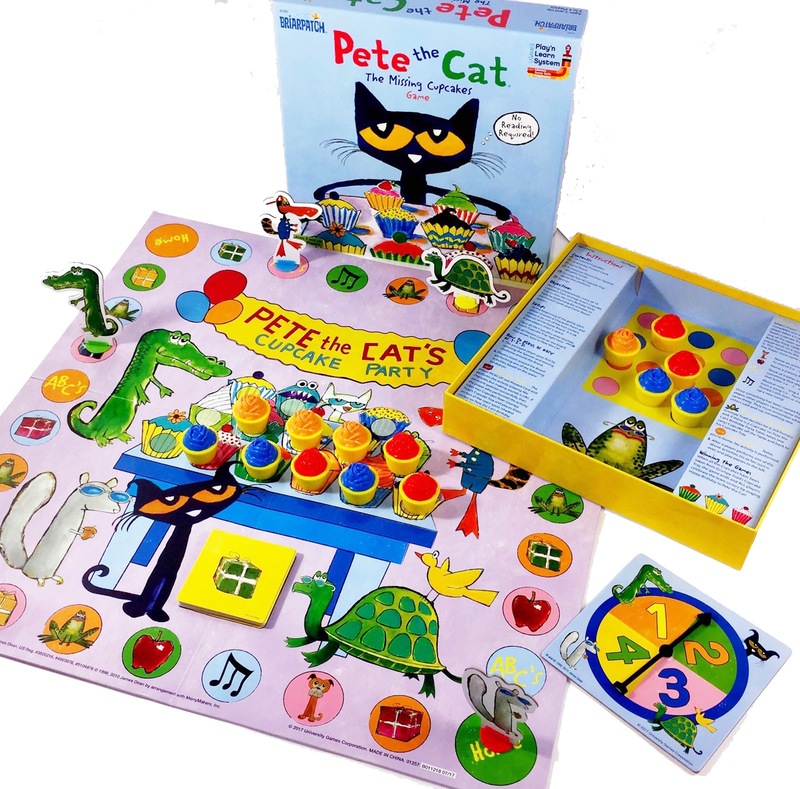 Join Pete the Cat and his friends as they work together to get the missing cupcakes back from Grumpy Toad. Players collect colorful cupcakes as they sing songs, act out physical activities, and identify favorite animals, foods, and words in this fun board game. It is a game of luck, memory, and cooperation that changes every time it is played. MSRP $20. 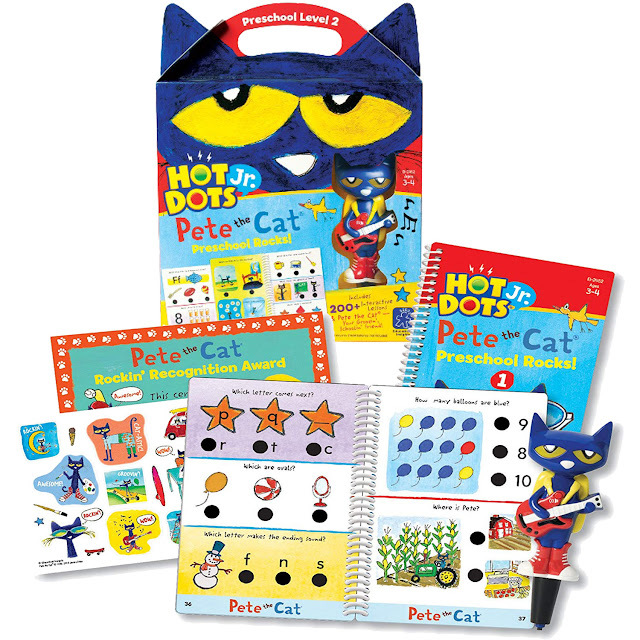 One reader will receive Pete the Cat Missing Cupcakes Game AND Hot Dots Jr. Pete the Cat for either Preschool or Kindergarten (RV$45).